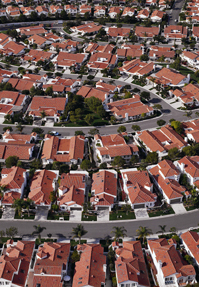 Can managed growth reduce urban sprawl? Sprawling suburbs, increasing traffic congestion, strip malls surrounded by acres of parking lots: Are these longstanding features of the modern American landscape only going to get worse? Without a shift in priorities, projected increases in population over the next few decades are expected to accelerate the spread of development away from city and town centers. Critics contend that sprawl eats up valuable open space, worsens air and water pollution and destroys Americans' sense of community. They champion policies that encourage “smart growth” — compact neighborhoods that combine housing, offices, schools and other amenities linked by public transportation and sidewalks. Developers and land-rights advocates call such policies intrusive social engineering and say sprawl is upstoppable — a sign of American prosperity and an efficient market responding to the growing demand for a piece of the American dream.